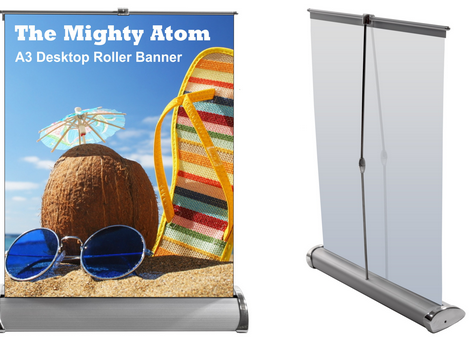 There are many different types of roller banner stand available, but what is the difference? What are the benefits of choosing one model over another? 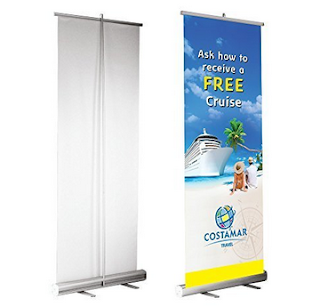 Costs can vary immensely when you are shopping for banner stands so you will need to consider which one is best for your needs. What are the differences that justify buying one banner stand costing? 85 while another stand can cost over ?300? Here are the fundamentals. The material that a banner stand graphic is printed onto is one factor that decides the ultimate cost to you. There are various types of media that are used, each suitable for a different purpose. Cheap banner stands are normally printed either with thick paper then overlaminate, or onto PVC using a solvent based printer. A paper print should have a relatively good print resolution with bright, sharp graphics, but paper printed graphics tend to tear very easily, even when laminated. These are really only suitable for non-permanent use and will not survive more than a few outings if that. PVC outdoor banner graphics are sturdy yet prone to coming apart at the edges. The print is also usually of a lower grade than an average large format inkjet printer. The perfect media for a roller banner is a dedicated inkjet banner material that is tear-resistant and will give a vivid, high contrast image when printed onto. This will then need to be overlaminated to give additional resistance to damage. The roller banner mechanism and casing are also major issues in the cost of a stand. There are various companies which are dedicated to manufacturing exhibition stands, many from China, Europe, plus the UK. Displays made in China are mainly mass produced and may be manufactured to a lower quality than European or British stands. This will be reflected in the price that you ultimately pay for the item. The metal that is used may be lighter and the stand less sturdy when it is assembled. These stands rarely last more than one or two outings without a technical problem but they are usually the least expensive on the market. 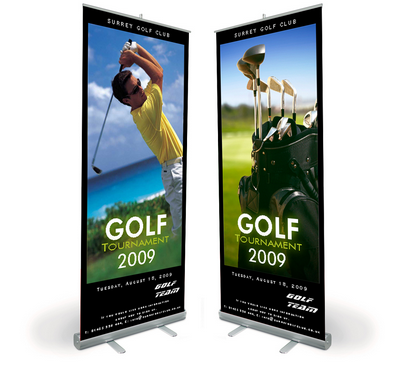 If you require a high-end roller banner then British brands are recommended. These stands adhere to tighter standards of manufacture and will come with a warranty on the casing and internal recoil mechanism. A good way to check whether your display is a well-made item is to ask your supplier whether it comes with a warranty. The best stands come with a ten-year guarantee on hardware. The best UK brands to choose include Ultima, Plex, and Easy stands among others. These companies deal directly with suppliers so you will have to find a supplier that has good customer service and can supply these products at a price that is affordable. Ultimately, the stand you select will be dictated by your requirements. Eg., if you need a stand for only a single exhibition and you simply need something to add a little bit of interest to your display at a budget price, then an economy banner stand may be your best option. However, if you need something sturdy that will wow potential clients and is suitable for multiple uses, then a more high end, the better quality display is required.